As we again plan to celebrate what US “Americans” call Thanksgiving, let us pause for a moment of reflection. Let us recognize that accounts of the first Thanksgiving are mythological, and that the holiday is actually a grotesque celebration of our arrogant ethnocentrism built on genocide. Native Americans in the Caribbean greeted their 1492 European invaders with warm hospitality. They were so innocent that Genoan Cristoforo Colombo wrote in his log, “They willingly traded everything they owned . . . They do not bear arms . . . They would make fine servants . . . They could easily be made Christians . . . With fifty men we could subjugate them all and make them do whatever we want.” This meeting set in motion a 500+-year plunder of the Western Hemisphere, which then spread to the remainder of the globe. And it has not stopped! Jump 129 years to 1621, year of the supposed “first Thanksgiving.” There is not much documentation of that event, apparently a three-day feast, but surviving Indians do not trust the myth. Natives were already dying like flies thanks to European-borne diseases. The Pequot tribe in today’s Connecticut reportedly numbered 8,000 when the Pilgrims arrived, but disease had reduced their population to 1,500 by 1637, when the first, officially proclaimed, all-Pilgrim “Thanksgiving” took place. At that feast, the whites of New England celebrated their massacre of the Pequots in the Connecticut Valley where the Mystic River meets the sea. The Indians were in fact celebrating their annual green corn dance ceremony. But it was to be their last. The rest of the white folks thought so, too. “This day forth shall be a day of celebration and thanksgiving for subduing the Pequots,” read Massachusetts Bay Governor John Winthrop’s proclamation. The authentic proclaimed Thanksgiving Day was born. Few Pequots survived. Most historians believe about 700 Pequots were slaughtered at Mystic. Many prisoners were executed, and surviving women and children sold into slavery in the West Indies. Pequot prisoners that escaped execution were parceled out to Indian tribes allied with the English. The Pequot were thought to have been extinguished as a people. But, the epitaph was premature. Enough survived such that today the Pequots own the Foxwood Casino and Hotel in Ledyard, Connecticut, larger in size than the Pentagon, with gaming revenues in the billions. Moving 158 years further, we discover a ruthless campaign conducted in central New York in 1779 during our “noble” Revolutionary War. The Continental Congress was furious that a majority of the Iroquois Indians (those who coined the Seventh Generation philosophy) were siding with the British against the colonialists who were rapidly settling their lands. The booming capital town of the Seneca Nation was Kanadesaga at the head of Seneca Lake in the Finger Lakes region. In the summer of 1779, the Continental Congress instructed its Army’s commanding general to take care of the Indian problem. George Washington complied. He ordered General John Sullivan “to lay waste . . . that the country . . . be . . . destroyed,” instilling “terror” among the Iroquois Indians in central New York; General Sullivan affirmed that “the Indians shall see that there is malice enough in our hearts to destroy everything that contributes to their support.” Washington declared, “Our future security will be in their inability to injure us…and in the terror with which the severity of the chastizement they receive will inspire them” [Richard Drinnon, Facing West: The Metaphysics of Indian Hating & Empire Building (New York: Schocken Books, 1990), pp. 331-32]. The culminating day of “victory” was September 7, 1779. Total destruction of Kanadesaga and the forty other Seneca towns was accomplished by 4,500 troops, nearly one-third of the entire force of the Continental Army. The only major military campaign of that year, it was one of the most vicious scorched-earth campaigns in history. All orchards and food crops were destroyed, all buildings were looted, then burned. Many of the escaping Senecas were scalped and butchered. “After the battle . . . Indian warriors . . . were scalped; Lieutenant William Barton amused himself by skinning two Indians from the hips down to make two pairs of leggings, one pair for himself, the other a present for his major” [Morris Bishop, “The End of the Iroquois,” American Heritage, October 1969, p. 78]. Jump 162 years to 1941, when I was born in Kanadesaga, renamed Geneva by our European ancestors. As a young boy I blissfully collected hundreds of Seneca arrowheads, storing them in a special protected box in my bedroom. A chapter in my seventh grade history textbook taught that, “The Iroquois were the Indian Masters of the State,” but due to their “destructive attacks on the frontier settlements, George Washington decided to send an army to crush the Indians . . . The Six Nations never recovered from this blow.” Europeans onward and upward! The New Republic was formed in 1789, its 1787 Constitutional Convention having been conducted in enforced secrecy, never submitted to a popular vote. The third U.S. President, Thomas Jefferson (1801-1809) described his vision of an “empire of liberty,” with expanded commercial enterprises and territory. And without any Constitutional authority he quickly doubled the area of the young country by acquiring vast Louisiana from France’s Napoleon for $15 million. In 1807 he advocated preventive war: “If the English do not give us the satisfaction we demand, we will take Canada, which wants to enter the Union; and when, together with Canada, we shall have the Floridas, we shall no longer have any difficulties with our neighbors; and it is the only way of preventing them” (emphasis mine) [William Appleman Williams, The Contours of American History (Cleveland: The World Publishing Company, 1961), p. 192]. Others openly talked of expansion into Spanish America and Canada for planter and merchant prosperity in new markets, saying that the patriotic and virtuous “wise framers” of the Constitution had “too much wisdom to restrict Congress to defensive war” [Ibid., p. 194]. After moving to Humboldt County in northern California, I carefully examined its history as well. The 1849 gold rush brought a large influx of white miners and settlers to California, leading to near virtual wipeout of California Indians by 1865-70. Between 1853 and 1861 there were at least fourteen wars waged against the Indians of California, with paramilitary campaigns continuing into the late 1860s. The population, once thought to have been as high as 700,000, was estimated to be 100,000 in 1849 partly due to grueling enslavement in the Catholic Missions starting in 1769. From 1849 to 1860 the population decreased by 65 percent to 35,000, due to systematic killings [Russell Thorton, American Indian Holocaust and Survival: A Population History Since 1492 (Norman: University of Oklahoma Press, 1987), p. 109]; a detailed list of atrocities committed against Indians in California, including many in what is now Humboldt County, can be found in Sherburne F. Cook’s The Conflict Between the California Indian and White Civilization (Berkeley: University of California Press, 1976)]. From 1857 to 1860, U.S. author/poet Bret Harte wrote for the Northern Californian and the Humboldt Times. Bret was privy to the white massacre of 188 Wiyot Indians on Indian Island in Humboldt Bay near Eureka on February 25, 1860, in which it was reported only one Wiyot child survived. Harte’s story, entitled “Indiscriminate Massacre of Indians, Women and Children Butchered,” included this account: “Little children and old women were mercilessly stabbed and their skulls crushed by axes. When the bodies were landed in Union [present day Arcata] a more shocking and revolting spectacle never was exhibited to the eyes of a Christian and civilized people. Old women, wrinkled and decrepit, lay weltering in blood, their brains dashed out and dabbed with long grey hair. Infants sparce a span long, with their faces cloven with hatchets and their bodies ghastly wounds. . . .” [Northern Californian, Vol. 2, Issue 9 (February 29, 1960), p. 1]. Barte fled as whites sought to lynch him. In California as elsewhere, hordes of white frontier settlers, speculators, surveyors and other opportunists were establishing permanent settlements as they moved westward from the Atlantic Coast colonies, especially following cessation of the Seven Years War in 1763. 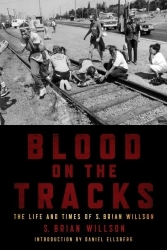 Thousands of murders of Indigenous were proudly admitted by settlers and investors/speculators engaged in activities the equivalent of today’s paramilitary death squads operating outside “official” channels, i.e., acting parallel to or outside the jurisdiction of federal troops. Preventive war using terror against civilians as ordered by the government carried out by young male troops or paramilitary forces are “all-American” values. Such policies have been witnessed time and again in U.S. history, rationalized by our sense of being “exceptional” people. We remain in denial about our arrogant, racist and genocidal origins. More redeeming values have been exhibited, such as civil disobedience and waves of progressive political movements. But the prevailing political and economic structures remain intransigently oligarchic. In simple terms, we remain a white male supremacy society of plutocrats supported by massive numbers of obedient consumers and laborers. By revealing our social secrets (an oligarchy committed to selfish exploitation) and realizing that those secrets have pre-empted our social myth (a democracy committed to equal justice), we can help catalyze a revolution of consciousness. Recognizing that obedience to our system is killing us and the Planet’s capacity to host us, is a grand initial step for triggering the imaginative forces necessary to enable rapid movement toward a society based on mutual aid in which sustainable communities are built and nourished at the local level. We have yet to come to grips with the original holocaust that continues to serve as the defining and enabling experience of our “civilization.” Embracing this “shadow” can ironically enable sudden and radical shifts as we are freed from expending the incredible unconscious energy needed to conceal our shame. Sharing our grief for what we have done to others, and ultimately to ourselves, will be experienced as tremendous relief. This entry was written by brian, posted on at 11:15 am, filed under Brian's Blog, The Most Dangerous of Rogue Nations: The United States, Challenging Traditional Patriotism. Bookmark the permalink. Follow any comments here with the RSS feed for this post. Post a comment or leave a trackback: Trackback URL.